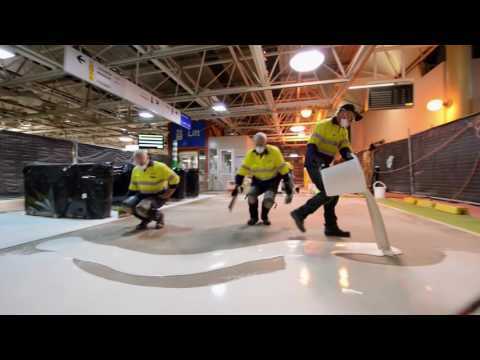 With almost unlimited design capabilities, a huge range of colour swatches and a choice of finishes, the commercial flooring range from Flowcrete Australia can deliver the wow-factor in a wide variety of commercial environments. Airports and high traffic public spaces. Aquatic and Leisure facility entrances, pool concourses and amenities. For unique and contemporary flooring finishes including luxury terrazzo, high-gloss seamless coatings, decorative flakes, multi-dimensional natural finishes and modern metallic designs, Flowcrete are positioned to provide your commercial flooring solution.